Why Choose Us For GreenPoint Electronic Locks Repair. Nowadays, electronic locks have become quite popular because of its many advantages. In many commercial buildings like offices, hotels etc as well as in residences, electronic locks are widely used. But since it is based on electronic operations, it can stop working anytime. In such cases, you need a reliable and experienced locksmith service to get it repaired. 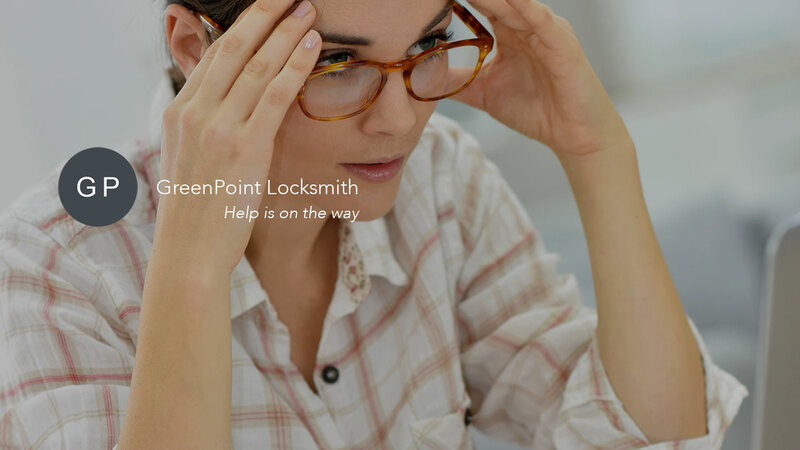 Our GreenPoint Electronic Locks repair service can help you to come out of this situation. There are a number of benefits of the electronic locks and that is why it is mainly used in the commercial buildings. You can access the complete history of loggings. It can be customized for specific users and also the time to restrict entries. In case it stops working, the repair is not that difficult but you need an expert to do the repair. You can contact us for repairing it and we will make sure that it is back to normal within few minutes. We are one of the most experienced and reputed lock repair service in the market. Our experts are highly professional and skilled locksmiths who can repair any kind of locks. They have huge knowledge on this field and are totally reliable. You just need to contact us for getting GreenPoint Electronic Locks repaired and we will make sure that we do not it as soon as possible for you. We understand how much problem it can create if your locks stop working and thus we provide 24x7 service. Electronic locks can stop working anytime or any day. With our 24x7 emergency service you do not have to worry about your access or any intruder accessing your premises. Give us a call when you face this problem and we assure you to provide our service team within few minutes to get your locks repaired.